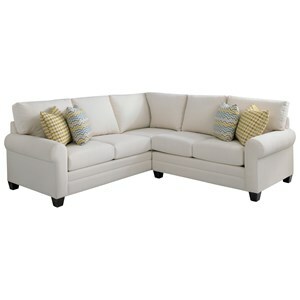 This sectional is a casual and inviting option for your living space. Sleek track arms are thick and supportive, and they'll make you feel cozy and at home. The lengthy right-arm facing chaise lets you lounge out, while comfortable seat cushions also feature welt cords for stylish dimension. 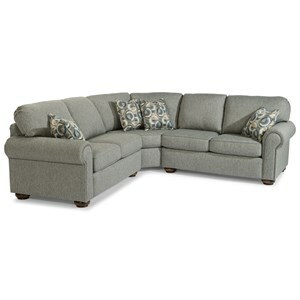 Let this sectional be your favorite place to lounge at the end of a long day. 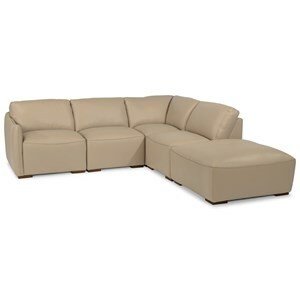 The Lombardy Sectional Sofa with Track Arms and Chaise by Jonathan Louis at Fashion Furniture in the Fresno, Madera area. Product availability may vary. Contact us for the most current availability on this product. 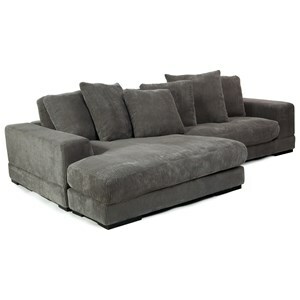 332-26L LAF Condo Sofa 1 71" 42" 25"
332-82R RAF Chaise 1 45" 66" 25"
332-03 Armless Condo Sofa 1 62" 42" 25"
332-15 Corner Unit 1 43" 42" 25"
Welcome family and friends with the comforting look of the Lombardy collection. 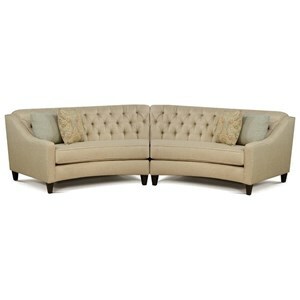 Great for relaxing and entertaining, this collection offers a variety of lounge pieces for any room in your home. 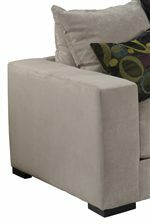 Large, loose cushions at the back, framed by track arms and wood legs mark the casual-contemporary style of the Lombardy group. 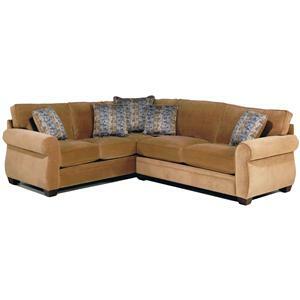 The Lombardy collection is a great option if you are looking for furniture in the Fresno, Madera area. 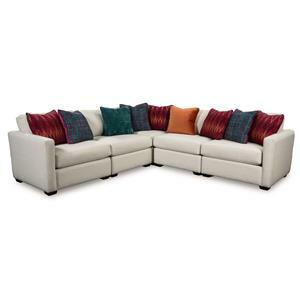 Browse other items in the Lombardy collection from Fashion Furniture in the Fresno, Madera area.